CAIRO — A former Egyptian lawmaker went missing nearly three weeks ago and may have been detained by security forces, his wife said in a request sent to authorities seeking information about her husband's whereabouts — the latest reported incident to highlight worrying incarceration practices. 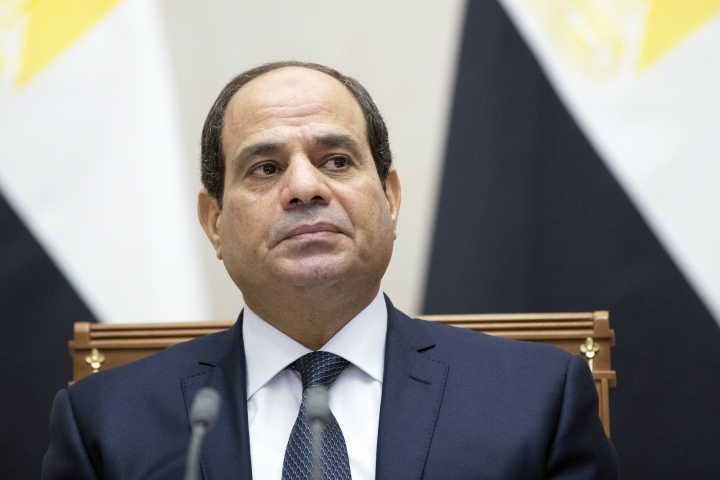 President Abdel-Fattah el-Sissi's government dismisses as unfounded accusations of its involvement, arguing that in many cases those who disappeared left their families to join Islamic militants fighting security forces in the north of Egypt's Sinai Peninsula. Egypt's main appeals court on Monday upheld a three-year prison sentence for el-Nagar and some two dozen people, including Morsi, following their convictions of insulting the judiciary. El-Nagar had been out on appeal. His wife said he had been expected to attend Monday's hearing at the Court of Cassation but he did not show up. She said officers at the nearest police station denied any knowledge of her husband's detention. The family later learned he was being held by National Security, an arm of the Interior Ministry focused on perceived threats to the state. Both men's families have sent requests to prosecutors and the Interior Ministry, which supervises police, asking for information about their whereabouts. A spokesman for Egypt's Interior Ministry did not respond to multiple requests for comment. In yet another case, a court postponed a hearing for two lawyers from an Egyptian rights group who were detained and haven't been seen since last month, the group said.